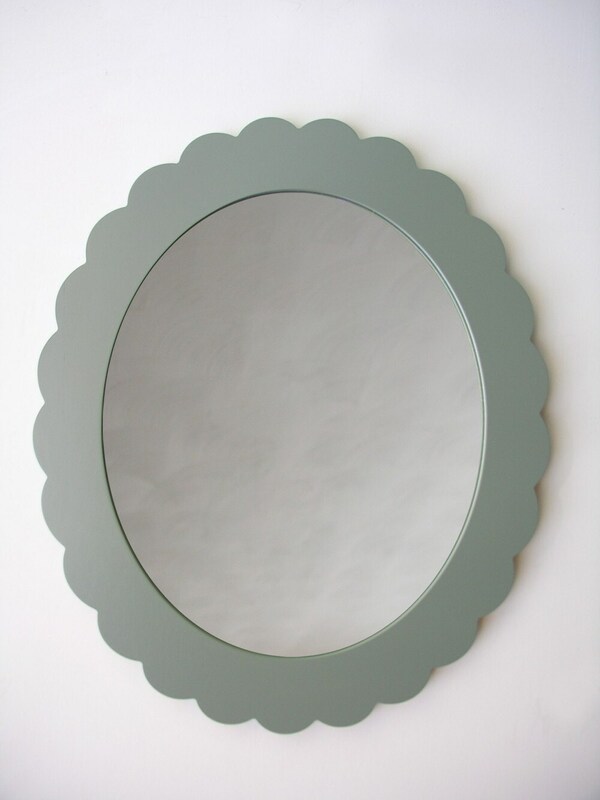 Our large scalloped accent mirror is a great vintage modern touch! 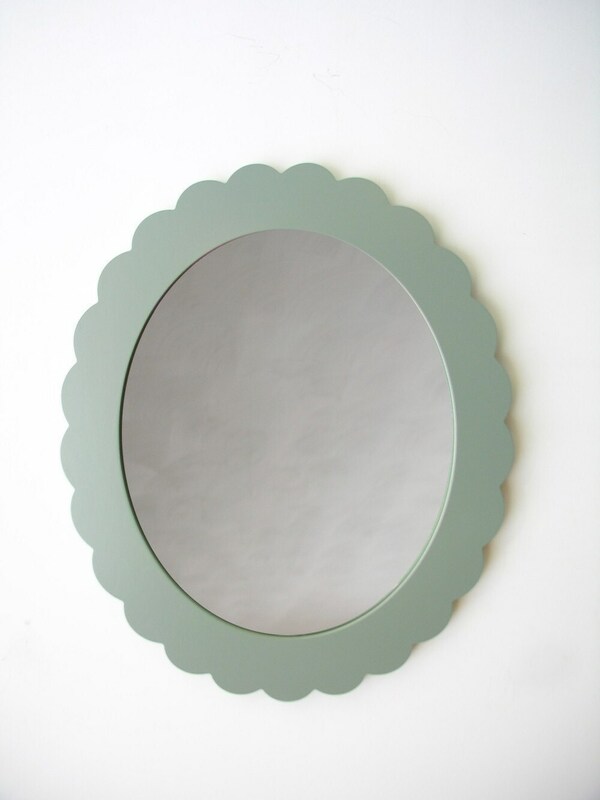 Perfect as an entryway mirror, in the bedroom, or in the nursery. We make your mirror to order, so you can choose your color to make it perfect for your space. The mirror can be hung vertically or horizontally depending on where you're hanging it. Just make your choice and we'll make sure the hanger is in the proper spot! Size: 24"h x 20"w - perfect for checking yourself out before heading out into the world! 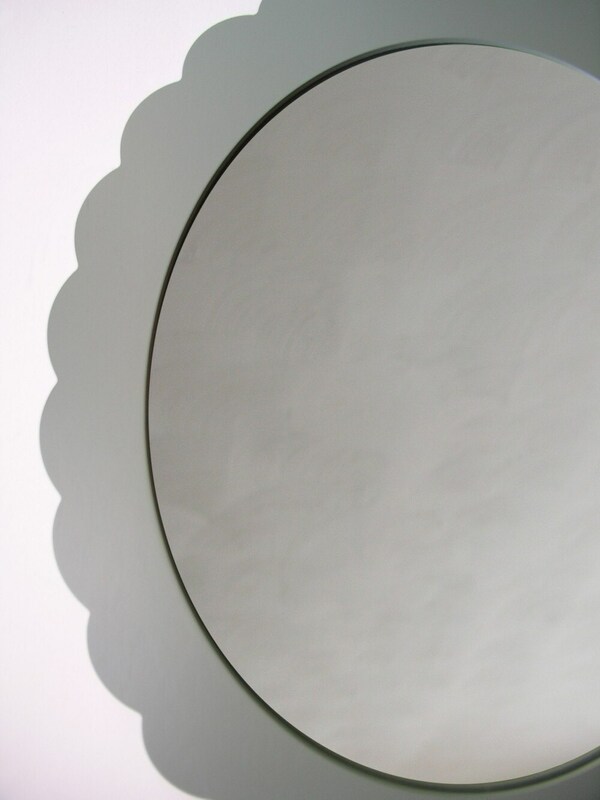 We make your mirror to order, so please allow 1 - 2 weeks for us to make, paint, and ship your mirror. Please allow 1-2 weeks lead time due to the made-to-order nature of this item. Domestic shipping: This item ships via FedEx Ground service and may require a signature for delivery. Arrives within 3-4 days of shipment. International shipping: This item ships via USPS Priority Mail and should arrive within 6-10 business days, insured. Shipping cost does not include any taxes, duties or fees that your country may charge you. all images and designs copyright 2012 dust and ashes productions, inc.
We don't accept custom size requests on clocks. If you have a suggestion for a different size clock that you don't see in our shop, please let us know. We are always open to your ideas! We don't typically accept custom color requests on clocks. 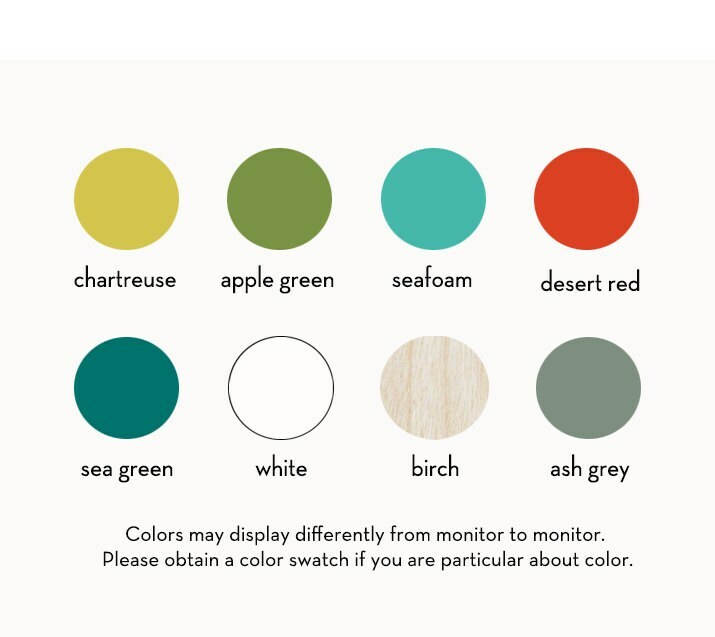 Items such as mirrors/furniture can be requested in custom colors. Please see individual item listings for more info.